Amnesty International has condemned the death sentence that was handed to a beauty queen who murdered her boyfriend by stabbing him 25 times. 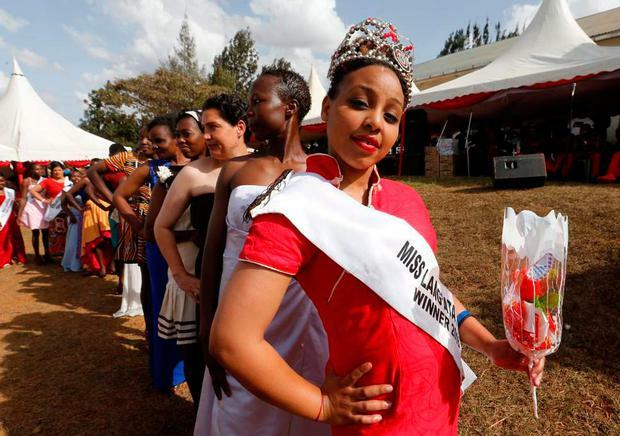 Ruth Kamande – who won a jail beauty pageant while awaiting trial – repeatedly plunged a kitchen knife into Farid Mohammed during the attack at his home in Nairobi, Kenya. The 24-year-old was furious after coming to believe her partner, also 24, had tried to infect her with HIV, the country’s High Court heard. But judge Justice Jessie Lessit dismissed claims she was acting in self-defence after the pair had fought, Kenya’s Daily Nation newspaper reported. She said the wounds were not consistent with Kamande’s allegations that her victim had pinned her down as they fought noting that post-mortem examinations showed his injuries were inflicted at intervals and not by a person lying down. “She stabbed the deceased 25 times, and not in quick succession, but rather spaced it out as if savouring it in pleasure,” said Justice Lessit while passing sentence. The judge accused Kamande of “manipulative” behaviour including inflicting minor stab wounds on herself and accessing the victim’s mobile phone after he died. Mr Mohammed’s family welcomed the sentence, which will see Kamande hanged. They said it matched the crime, which happened in September 2015. But Amnesty International intervened to criticise the punishment. He added there was no credible evidence the death penalty deters crime better than other punishments and asked the courts to rehabilitate Kamande instead. Her lawyer Joyner Okonjo said she would appeal the sentence but, if carried out, it would be the first state execution in the country since 1987. Khaled Kazziha Eight critically endangered black rhinos are dead in Kenya after wildlife workers moved them from the capital to a new national park, the government said, calling the toll “unprecedented” in more than a decade of transfers. Joe Brock At least two rhino poachers were eaten by lions on a South African game reserve, the owner of the lodge said yesterday. Nicola Smith Images of an American hunter posing with the body of a black giraffe she killed in South Africa have triggered an online backlash after going viral on social media.